Why sacrifice style for performance? Poivre Blanc doesn't think you should have to, which is why they created the sporty Stretch Fleece Full Zip Mid-Layer. 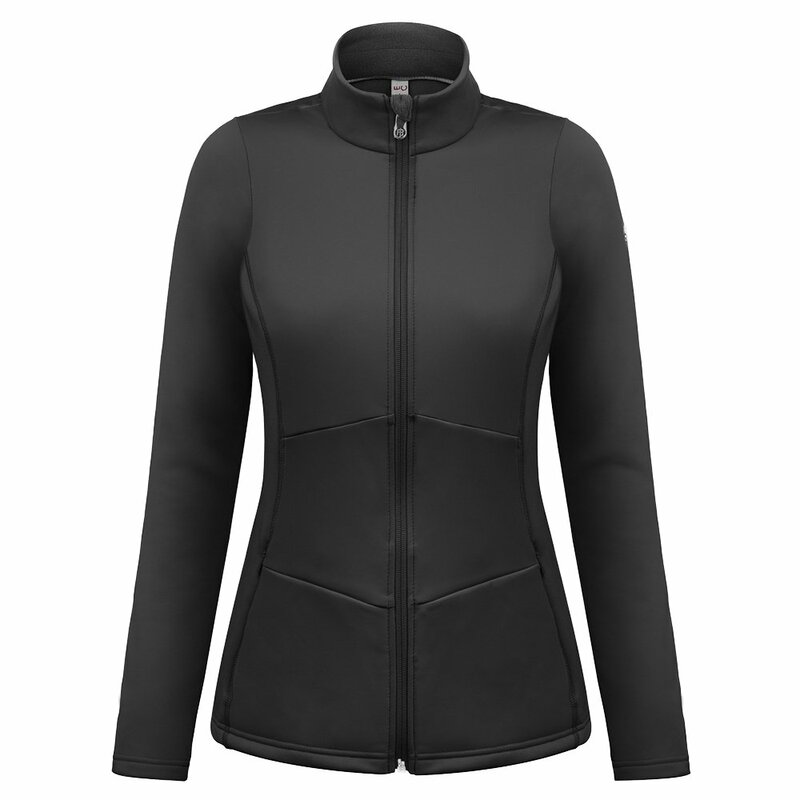 It's specially designed for active women who want bold, bright colors in their winter wardrobes. The four-way stretch fleece moves with your body, so whether you're scaling mountain cliffs or just going for a chilly day run, this is sure to be a comfortable mid-weight layer. A chin guard, metallic shoulder detailing, a chin guard, and geometric stitching are extra features on the Stretch Fleece Jacket you're sure to appreciate. Metallic shoulder detailing and bold colors draw the perfect amount of attention.